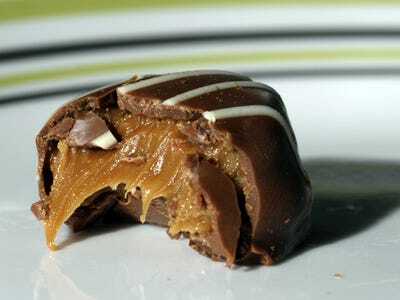 The great chocolate shortage has begun. Is this not about Ebola, which we’ve written previously could be a short-term threat to the world’s chocolate supply. Rather, this seems to be a more secular, long-term trend with hits to both the supply and demand curves. The long-term issue here seems to be that last point. The core of the story is the rising global middle class, which continues to grow. 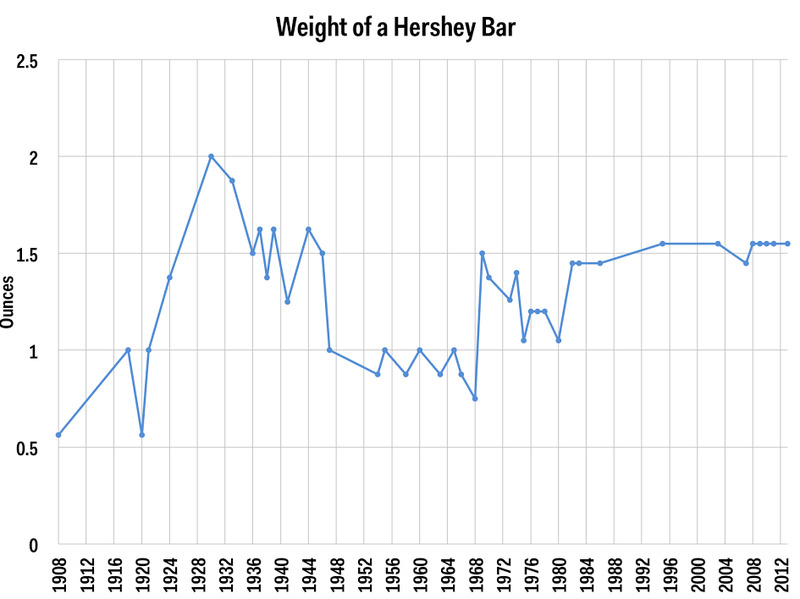 As millions more every year are gaining more and more disposable income, small luxuries, like chocolate bars, are available to more and more people. If supply more or less stays stable, prices are necessarily going to have to increase. 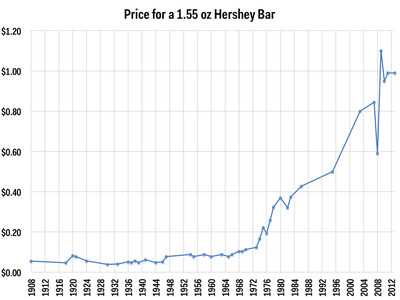 Andy Kiersz / foodtimeline.orgNotice that giant drop in 2008. 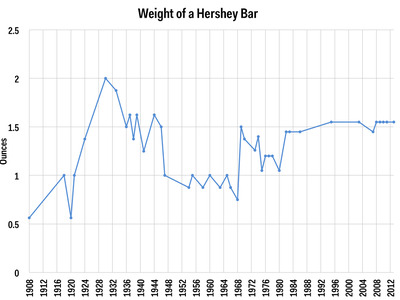 We also plotted the size of a Hershey bar over the last century. 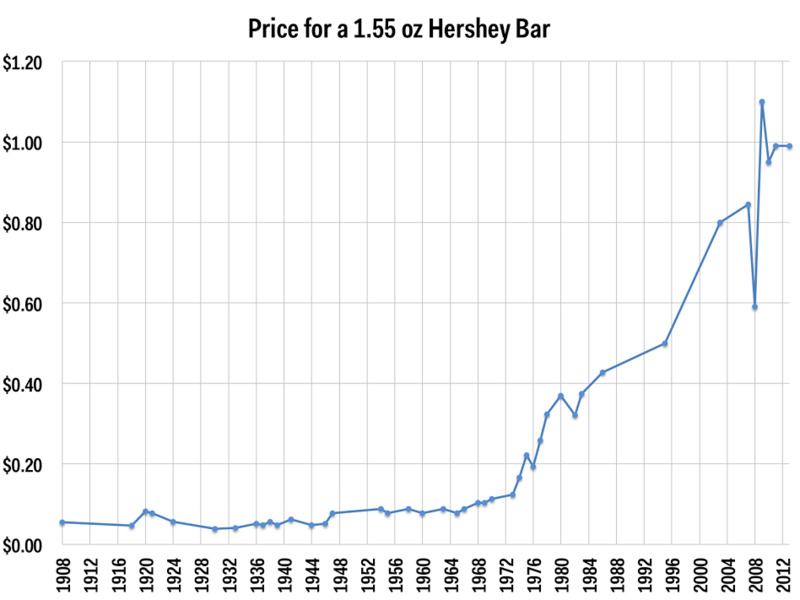 Tangentially related: Those who still haven’t made it into the ranks of the global middle class (and likely aren’t going to see much of that rising price of chocolate) are the cocoa producers themselves. Many have never tasted the end product before.